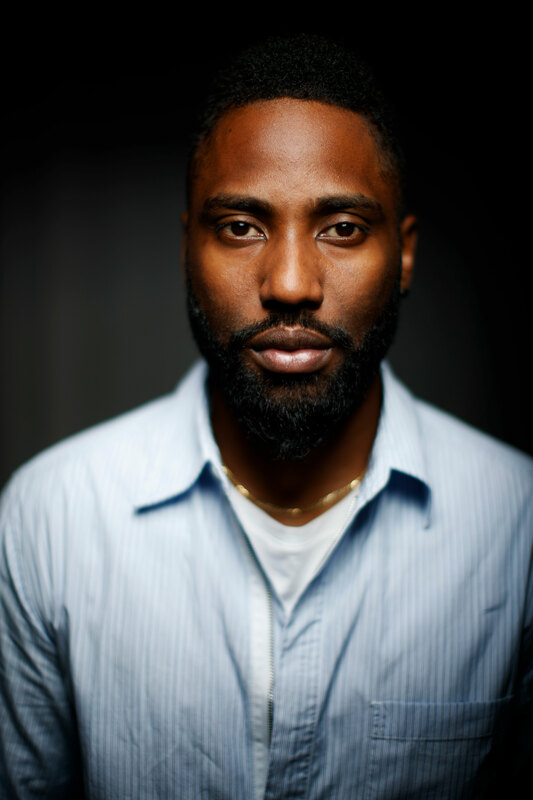 John David Washington’s master plan was not football. Football was the escape. He fell in love with acting when he was 5 years old. He was watching his father pace as he was running through lines from Richard III for a Shakespeare in the Park performance. “When we were walking the streets,” said Washington, 34, “sometimes he would recite his lines. … I loved the language … loved those words.” And he loved the man who was bringing those words to life. His father is celebrated actor Denzel Washington, and the elder Washington had collected his first Oscar win earlier that year for his performance as Pvt. Silas Trip in 1989’s Glory, the story of one of the first all-black military units of what became known as the U.S. Colored Troops of the Union Army — minus the officers, of course. “I knew then,” said Washington, “that I wanted to do it.” And in case you’re wondering? Washington still knows every line of Glory, his all-time favorite film. 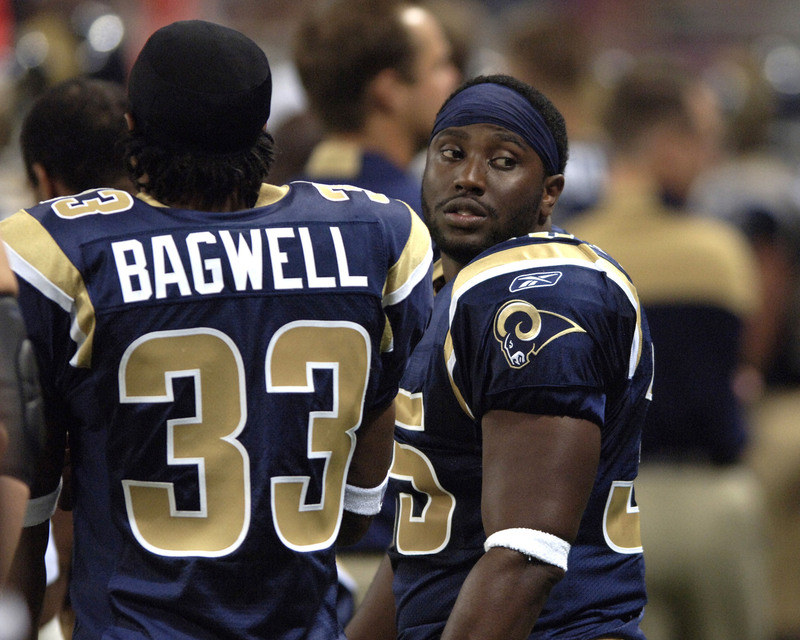 St. Louis running back John David Washington (right), the son of actor Denzel Washington, stands alongside teammate Antoine Bagwell on the sidelines at the Edward Jones Dome in St. Louis on Aug. 19, 2006. Houston beat St. Louis 27-20. Washington is the eldest of Denzel and Pauletta Washington’s four children. His parents met in 1977 while on the set of Denzel Washington’s first television role as Wilma Rudolph’s high school sweetheart in 1977’s Wilma. Pauletta Pearson portrayed champion sprinter Mae Faggs. The couple got married 35 years ago and are easily one of Hollywood’s most beloved pairings, well-known for their performances and for their outstanding humanitarian efforts. But as much as he loved narratives, and music, Washington moved away from it. And instead of fine arts, he found football. Football was a move away from his famous lineage. No one would compare him to his father on the football field. Denzel Washington’s stint as a college athlete is rarely talked about — the Oscar-winning actor played two years for Fordham’s basketball team before deciding that he was a player and not, well, a player. But his son was a baller. At Morehouse. And good at it. And on the field, no one would be able to say he got there because of nepotism. 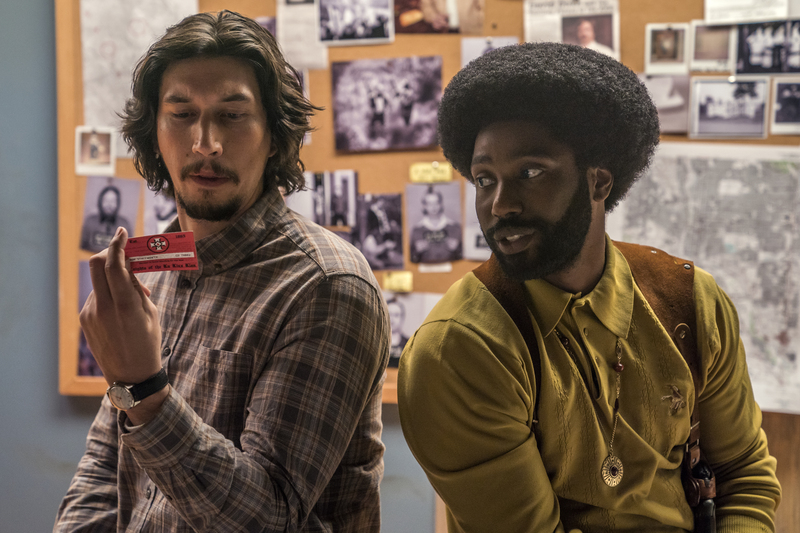 John David Washington (right) stars along with Adam Driver in Spike Lee’s BlacKkKlansman. The film won the Grand Prix award at the Cannes Film festival and has been hailed as one of Lee’s best. He got it. Washington was a star athlete at Studio City’s Campbell Hall High School, where he lettered in football, basketball and track. After he graduated in 2002, he headed to Morehouse, where he set a school record his senior year with 1,198 yards, for an average of 5.6 yards per carry, and nine touchdowns. And he still holds the school records for single-game and career rushing yards. Washington, when he decided to make a real go at this Hollywood thing, slid in under the radar. All intentional, of course. He wanted people to see him and not his famous, highly decorated lineage. He wanted people to see the 5-year-old version of himself, all grown up with some life lessons behind him, walking in his own purpose and holding his own alongside tested actors. The first test came with HBO’s Ballers, a fast-paced series that co-stars Dwayne “The Rock” Johnson as a former NFL star-turned crackerjack financial manager of current NFL athletes. In Ballers, Washington is Ricky Jerret, a competitive NFL star who often can’t get out of his own way. The character has layers, and while Washington has the background of living the star-athlete life, he puts some special sauce on his performance, giving us an authenticity almost akin to an intimate docuseries. In truth, Washington plays the hell out of Ricky Jerret. And there’s more goodness coming. This new season, the series’ fourth, has Washington pushing himself even further, giving us an even more robust version of the emotionally complex Jerret, who is struggling this season with whether he should stay retired or play. And if he plays, should he become an activist alongside other football players who are taking the knee during the national anthem. Football was a move away from his famous lineage. No one would compare him to his father on the football field. And now, he’s going all in. He’s starring in Jordan Peele and Spike Lee’s BlacKkKlansman, which he said was a master class of acting for him. Though it’s set about 40 years ago, the timely film deals with the real-life story of Colorado detective Ron Stallworth, a black man who infiltrated and exposed the Ku Klux Klan. Washington brings Stallworth’s story to life alongside Adam Driver, who plays the white (and secretly Jewish) version of Stallworth for in-person meetups. Washington still knows every line of Glory, his all-time favorite film. What’s next for Washington is recapturing that 5-year-old feeling. He can still see his dad pacing, running through Shakespearean lines. Washington is ready to perform live — this time on a theatrical stage and not a gridiron.